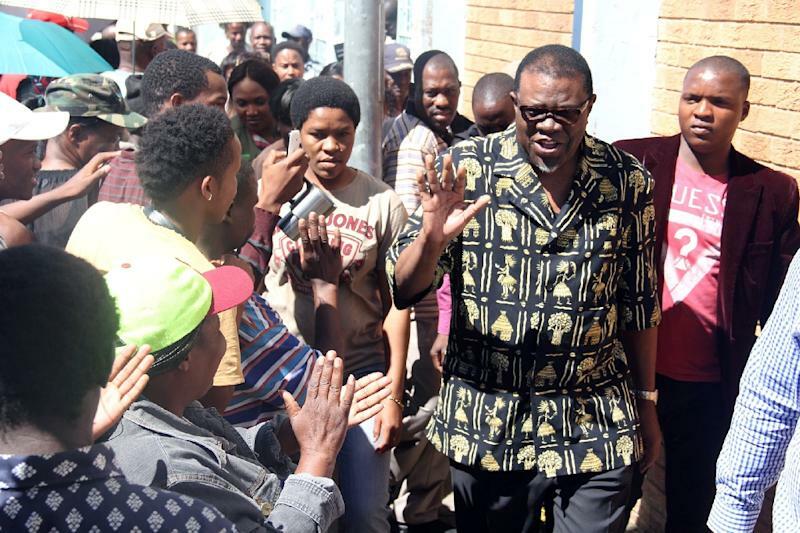 Windhoek (AFP) - Namibia's new leader Hage Geingob was on Saturday sworn in as president, three months after he was elected in a landslide victory. The 73-year-old president marked his inauguration by pledging to tackle poverty among the vast desert nation's 2.2 million population. "I am declaring war on poverty and inequality," Geingob said in front of a packed stadium in the capital Windhoek. Geingob, leader of South West Africa People's Organisation (SWAPO), won the November 2014 vote with 87 percent of the vote, to become Namibia's third democratically elected leader. Namibia, which gained independence from South Africa in 1990, after decades of German rule, delayed the inauguration to coincide with its independence day. The ceremony was attended by several regional leaders including President Jakaya Kikwete of Tanzania, President Ian Khama of Botswana and President Robert Mugabe of Zimbabwe who has close ties with Namibia. Geingob admitted in 2012 that the wealth of the uranium rich country was controlled by 10 percent of the population. He replaces Hifikepunye Pohamba, also of SWAPO, who served the country for ten years. Before his election, Geingob served as Namibia's prime minister. Outgoing president Pohamba said he looked back with satisfaction because his government had achieved many of its national development goals during his term in office. "There are still many socio-economic challenges facing our people, especially the youth, women and vulnerable sections of our population. Two of the most pressing are poverty and unemployment,” he said.